54 Big LED Solar Light: Equipped with 54 bigger LED lights, it provides excellent illumination of up to 526 lumens, which is far brighter than other similar LED solar lights. Unique Wide Angle Design: With 3LEDs setup on both sides of the solar lights which create a wider range of luminosity. The maximum lighting angle can reach 270 degrees. 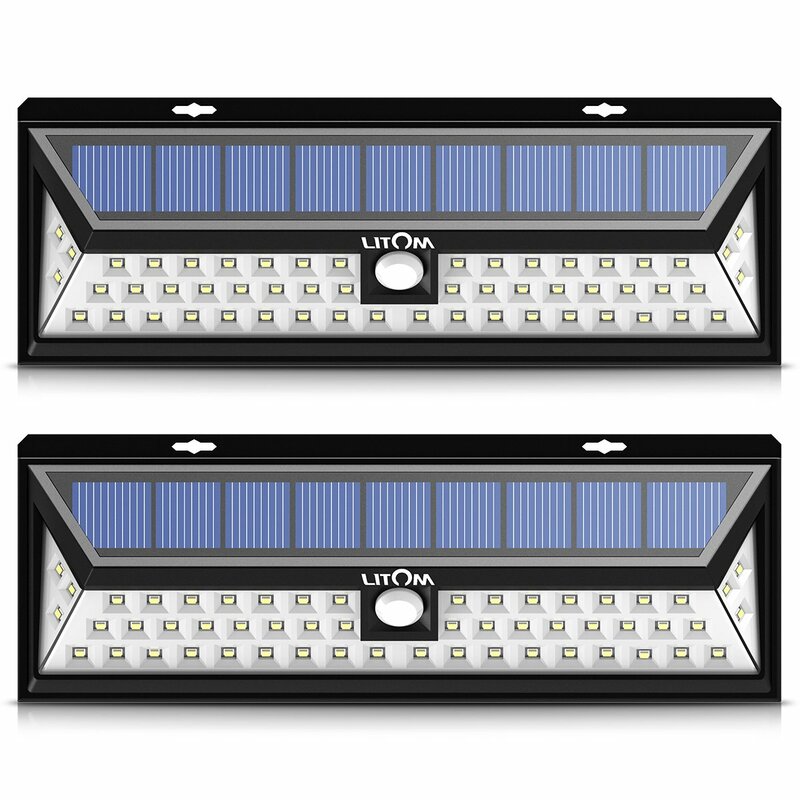 Upgraged 120 Detection Range: Built-in PIR motion sensor of our solar lights can detect up to 120 degree with a longer sensor length of 26 feet thus provides a broader range of lighting. Bigger Solar Panel IP65 Waterproof Solar Lights: With bigger solar panel, it can convert up to 17% of the sunlight into electricity energy. Made of durable ABS material, you don’t need to worry about use in the rain. It can also withstand all kinds of severe weather conditions. 3 Lighting Modes: 3lighting mode at your option, you can choose any of them at your needs. Medium light mode; Dim light sensor mode; Sensor mode.